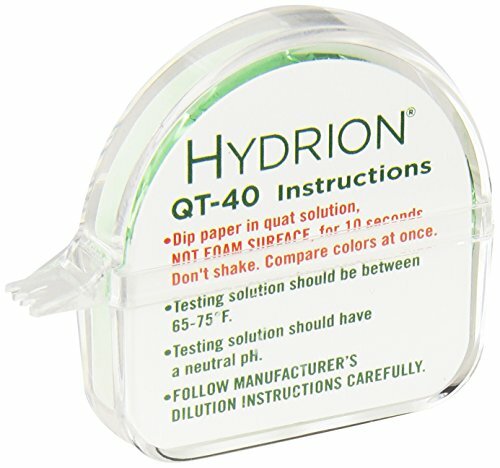 Details: Hydrion QT-40 Quaternary Test Paper provides a simple, reliable, and economical means to measure the concentration of Quaternary Sanitizers, including n-alkyldimethylbenzyl and/or n-alkyl dimethyl ethyl benzyl ammonium chloride, and Rocall II. 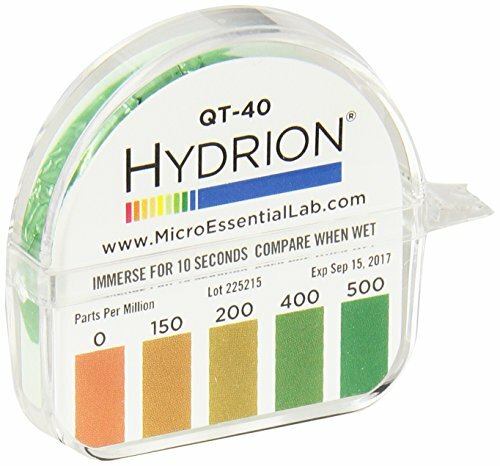 With color matches at 0-150-200-400-500ppm (parts per million), the test paper measures concentrations between 0-500ppm, detecting exhaustion of solutions that should be replaced as well as helping to avoid using excessive amounts of sanitizing agents. Federal, State and Local health regulations require users of Quaternary Ammonium Sanitizer Solutions to have appropriate test kits available to verify the strength of sanitizer solutions. Sanitizer solutions are essential in the food service industry to ensure that sanitizers are at the proper concentration specified by the individual manufacturer. 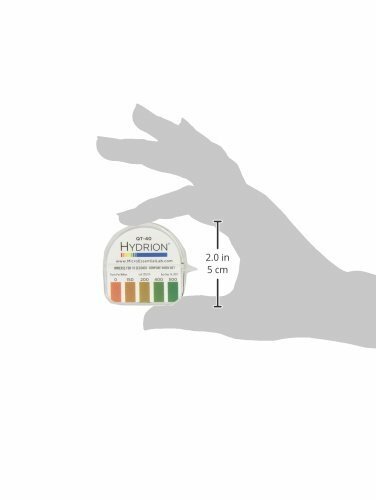 Each carton contains 10 kits, each consisting of a 15-foot roll of test paper and matching color chart.